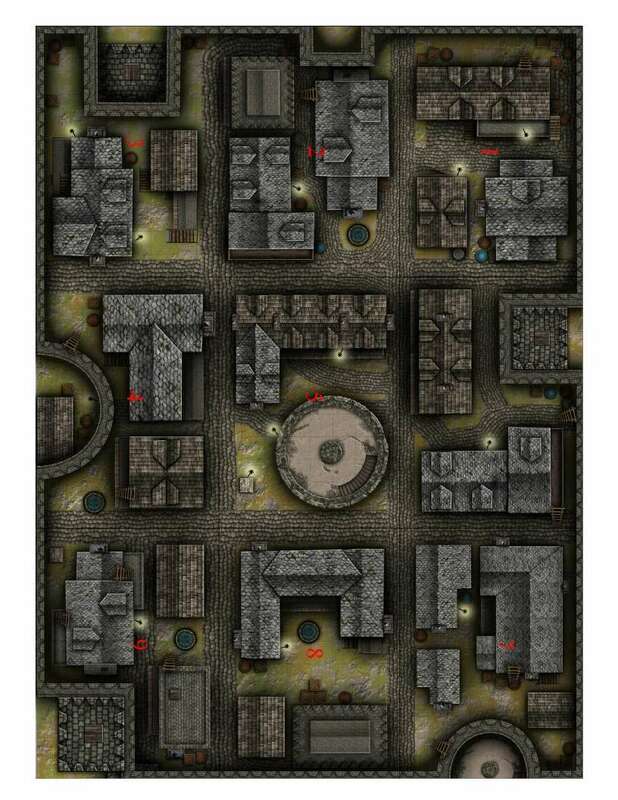 This alleyways battlemap is ideal for urban chases, escapes, and ambushes! The map uses 1" tiles suitable for most RPG or tabletop battle games. This download file includes 9 printable 8.5"x11" pages which combine to make a full 36"x24" battlemap! Note - the red numbers in the preview are to show nine of the 8x11 tiles placed together to form one large map. The actual files don't feature the red numbers! Does the map print without the big red numbers? Absolutely! The image with the red numbers shows nine individual sheets placed together to make one large map. The preview does not work. The pop up only shows grey and is not loading anything. Sorry Bruce. Now you can click the image for a preview.